Though it authorized our nation's earliest imperialistic land grab outside our continent, the 1856 Guano Islands Act is little known today. The act stated that the United States could claim any island that had seabird guano on it, so long as there were no other claims or inhabitants. Any guano mined had to be sold to American farmers as fertilizer at a reasonable price. Guano, or seabird excrement, was at the time the finest natural fertilizer, and farmers needed it to replenish the nutrients in their fields and increase their crop yield. Seabird guano, especially that produced by cormorants, boobies, and pelicans on the three tiny Chincha Islands off the coast of Peru, had a remarkably high nitrogen content that promoted plant growth. Beginning in the early 1840s, it was commercially mined, transported, and sold in Germany, France, England, and the United States. American farmers, especially in the mid-Atlantic region, lobbied their congressmen to get more and more of the acrid stuff to replenish their tobacco and produce farms, which could yield three times the normal growth with an application. Passage of the act allowed American shippers and their business partners to seek and claim islands in the Pacific and Atlantic for this trade. Within a few years, nearly 200 guano island claims were made and suddenly the U.S. Navy had to mobilize in the remote Pacific to protect American interests. The navy also was tasked with collecting samples. This is where the Smithsonian entered the story. In August 1857, the 22-gun warship USS St. Mary's visited New Nantucket and Jarvis islands in the remote Pacific Ocean. 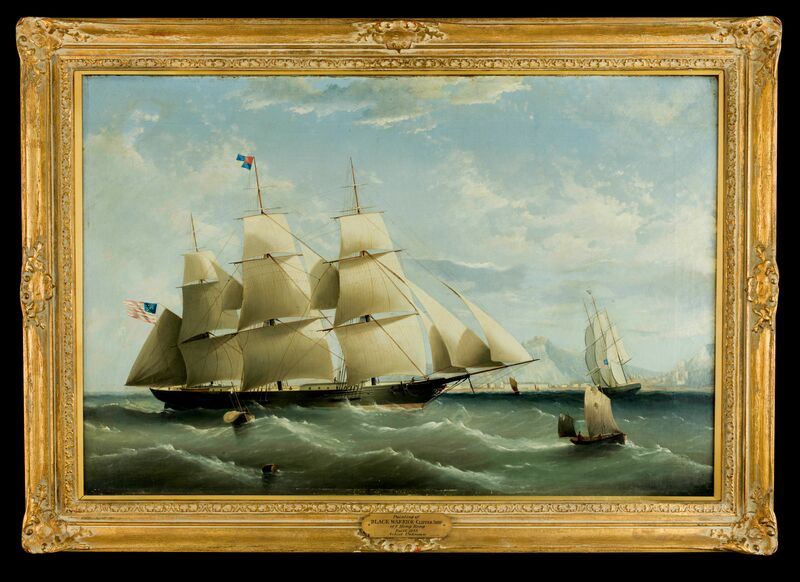 The ship collected guano samples that were sent back to Washington, D.C., for analysis. 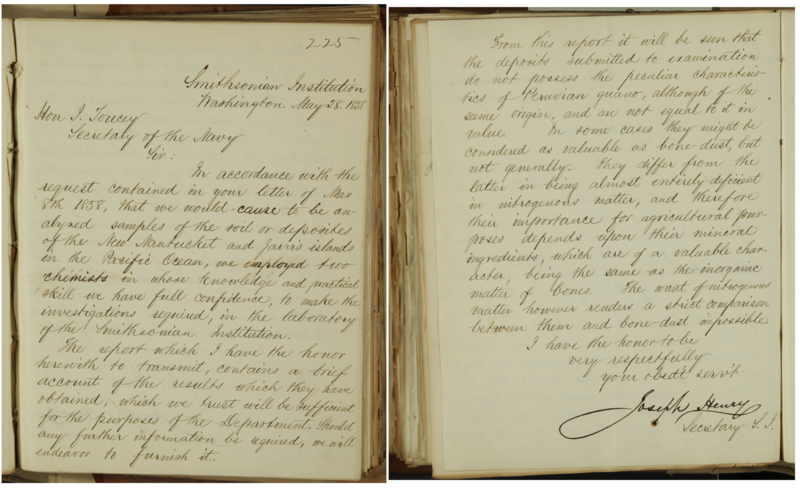 This important task was given to the Smithsonian's first Secretary, the chemist Joseph Henry. In early 1858, Henry handed over the 17 samples to some chemists working for him, who took three months to analyze the samples and write a report. Henry billed the Navy $350 and distilled the report into a letter communicating that the samples "do not possess the peculiar characteristics of Peruvian guano . . . and are not equal to it in value . . . in being almost entirely deficient in nitrogenous matter." In other words, the aquatic avian excrement was crap. May 28 is the 159th anniversary of that letter. The problem with this—and all the guano from every other guano island except the Chinchas—was that frequent rainfall washed out the nitrogen. Bathed by the chilly Humboldt Current, the Chincha Islands were uniquely rainless and surrounded by an abundance of sardine-like fish. With no predators, the local seabirds thrived, and their guano piled up as deep as 200 feet. 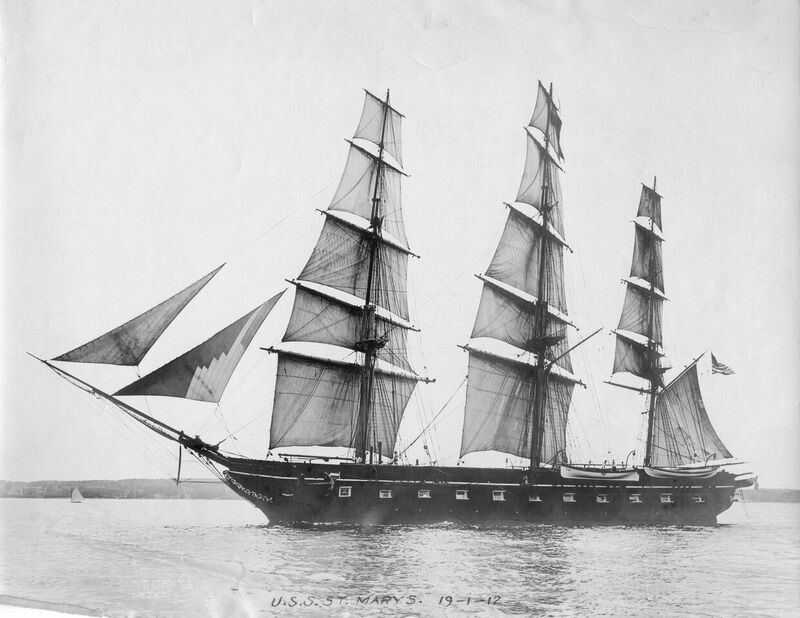 Many famous American clipper ships stopped by the Chincha Islands on the way back from transporting forty-niners to the California Gold Rush, so they didn't have to come back empty to the East Coast. But that's another story! 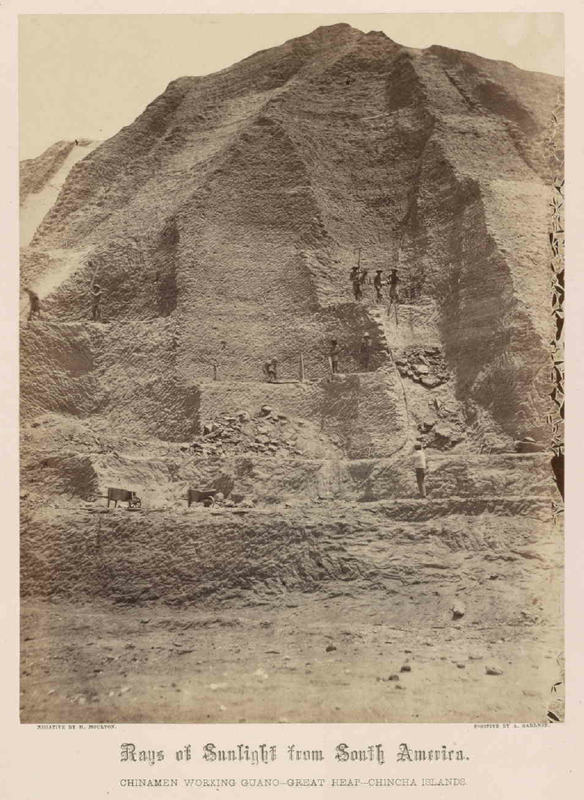 Spencer Baird became the Smithsonian's second secretary in 1878, and he too had a hand in the guano trade. In 1871 he became fish commissioner for the U.S. Fish Commission, overseeing the nation's diverse fisheries. One of the American guano companies was the Pacific Guano Company (PGC) of Massachusetts, based in the port of Woods Hole. Although the PGC dabbled in guano, its mission was actually to eliminate the middleman. By the 1870s the world's guano supply was dwindling, and there wasn't much left to market undiluted. After all, what was guano but fish that had passed through the digestive tract of seabirds? Why not skip those pesky, remote birds and go right to the fish themselves? The PGC harvested the abundant menhaden all along the Eastern seaboard and tried to make fish meal directly into fertilizer. They eventually succeeded, but when the winds blew from the wrong direction, the entire town of Woods Hole, Massachusetts, evacuated from the stench. The PGC also had a hand in guano islands, and the only known example of 19th century seabird guano is from their company's Swan Island in the Caribbean. 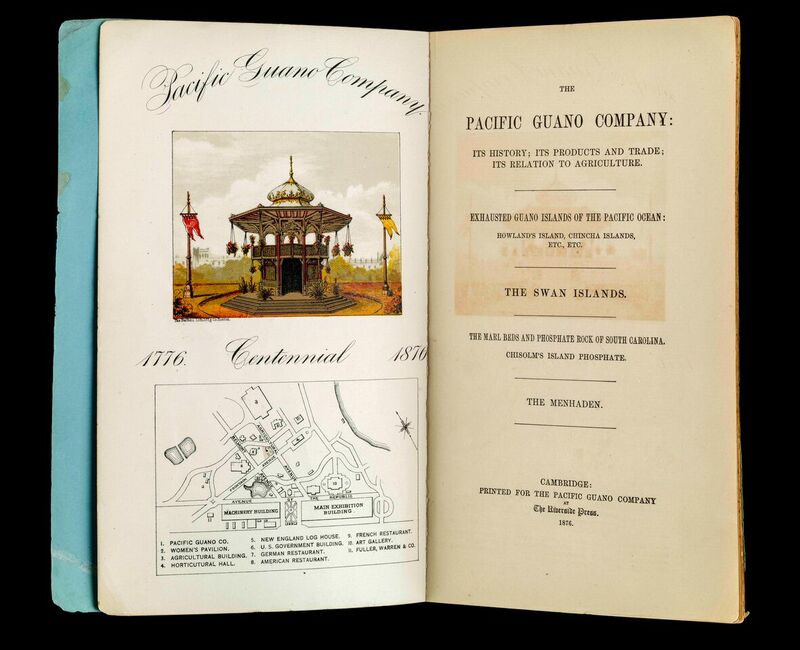 Baird encouraged the PGC to exhibit their wares at the 1876 Philadelphia Centennial, which resulted in a lavish pavilion and leather-bound report. Things changed rapidly after that. All the world's known guano deposits had been mined out by 1880 and the seabirds, whose grounds had been disturbed by the mining operations, couldn't keep up with demand. Around the same time, huge deposits of nitrates and phosphates were found on land, and for the first time fertilizers could be blended to local needs. So the mining of guano islands died off without lasting impact on the world's agriculture or history. Around 200 guano islands were claimed by Americans in the 19th and early 20th centuries; nine remain today as unincorporated territories. Some of them are pretty well known: Howland Island, where Amelia Earhart was supposed to land; Midway Atoll, the scene of a horrific World War II battle, and a personal favorite: Johnston Atoll. That little speck in the Pacific is so remote that the United States tested nuclear and chemical weapons and conducted various other classified operations before abandoning it a few years ago. But bird poop is why we claimed it and the others long ago. Learn more in our online exhibition. Paul F. Johnston is a curator in the Division of Work and Industry.